The hotel's ballroom was transformed into an outdoor paradise. 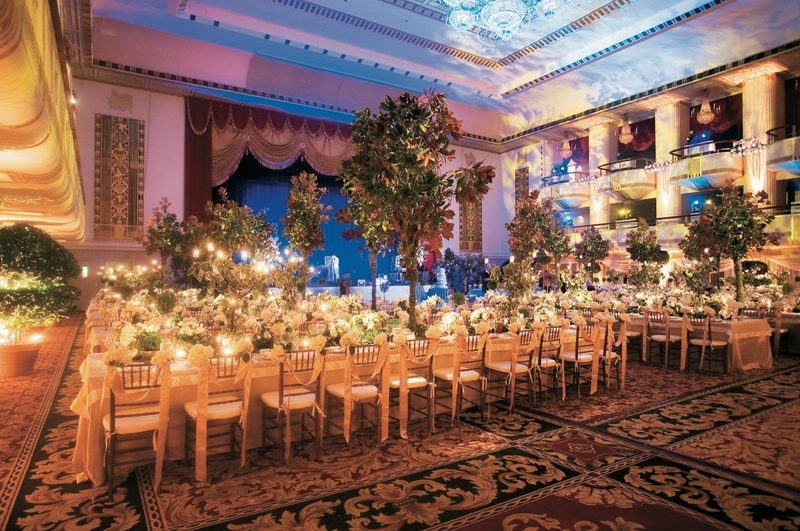 Long tables were topped with potted topiaries, candelabra, and towering trees. The guest chair backs were adorned with hydrangeas and draped antique gold ribbon.